Bernardo coffee table is a precious accessory boasting a linear and discreet design. 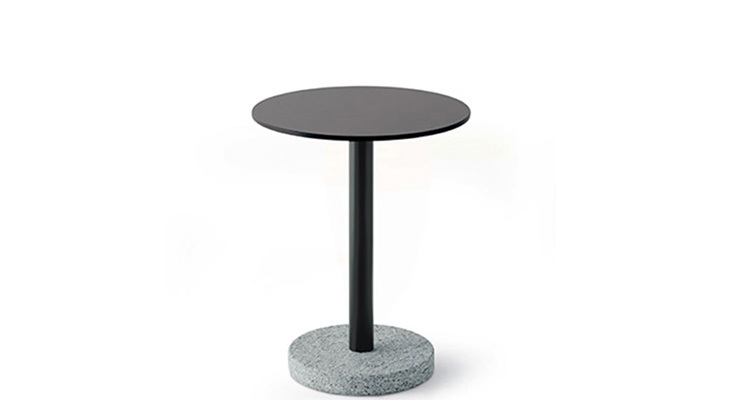 The impact of the materials used in this design of the square or round shaped top with a Simplon white stone base, let Bernardo find its place in any room inside and outside the house. It is available in two heights: 54/68 cm and in two colours: smoke, milk. The top is in HPL grey .